Welcome Watts Learning Center Charter MS Families! I would like to welcome you to our 2018-2019 academic school year. 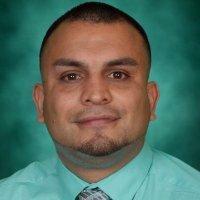 My name is Mr. Miguel Gamboa, I am the new Principal at Watts Learning Center Middle School. I am committed to continue to execute the WLCCMS mission and vision of preparing college-ready students through high-quality college preparatory classes. I am a Los Angeles native. My parents migrated to L.A from Mexico, and from a young age, they instilled diligence and perseverance in my character. I grew-up in a gang-infested neighborhood, but fortunately, I found an escape through education. After I graduated from high school, I served five years in the United States military. Furthermore, I received my Bachelor’s degree from San Diego State and my Master’s degree in Educational Administration from Loyola Marymount University. After seeing a small percentage of inner city youth become successful through education, I decided to make a difference in my community and become a teacher to help more students become prepared to enter four-year universities. As evidenced by my educational background, I strongly believe in lifelong learning and its ability to shape, transform and strengthen individuals. I have a proven track record for improving student achievement and know exactly what it takes for all students to be successful. I will tell your child three things everyday. They will be expected to respect themselves and others, they will be asked to give 110% effort everyday and they will be told that I love them! I am committed to working with parents to help their child grow intellectually and socially. I am committed to working with teachers to help grow their instructional practices. I am committed to encourage and motivate students to take advantage of all the opportunities that WLCCMS offers them. I look forward to working with all stakeholders!